Life insurance isn’t something many people think about when they’re in their 20s or 30s. But, as time goes on, it should become a priority you take action on. Otherwise, you end up looking for senior life insurance once you hit your 50s, 60s, or even your 70s. It’s a great thing to live this long – but at this point in life, you need something to take care of you for the rest of your days. Not to mention, life insurance comes in handy to help your family take care of final expenses. It might be hard coming to terms with the fact it’s time to look into life insurance as a senior. But thankfully, it’s not hard to actually get life insurance at this age. Here is everything you need to know about making this investment for yourself and your family. There are many kinds of insurance people get over the years. There is car insurance and home owner’s insurance, and medical insurance and insurance for specific health needs like dental insurance. When you’re looking for senior life insurance, the options continue to expand. The following are a few different insurance choices to choose from as a senior. Term life insurance covers the amount of money your spouse or your heirs will need to make up for income losses and assets at the time of your death. This money accumulates at a fixed premium during your term. Most terms are set up as five-year plans, which means you’ll need to purchase senior life insurance again and again. Other terms can go up to ten or fifteen years. You may be able to find some that reach 20 years, but these are usually for seniors age 70 and under. Whole life insurance is a one-time purchase of lifetime protection. It covers you if you only live for a handful of years after purchase or if you live a long, long time after purchase. It works on fixed periodic premiums, which build cash value over time. Guaranteed universal life insurance is a low-payment alternative to term and whole life insurance options. The low rate is due to the fact this policy does not build cash value over time. Rates are fixed to a specific age in this kind of senior life insurance. Once you reach each mark, your rates go up for a fixed amount until you hit the next mark. While you’re weighing the pros and cons of each type of life insurance policy, it’s a good idea to get a medical exam. This helps you understand the overall health of your body and the kind of expenses you might be able to plan for. Plus, you can consult your doctor about senior life insurance. It’s important to recognize the difference between a medical professional and an insurance agent. Still, your doctor has likely had this conversation with many other senior patients and likely has a few words of advice to offer. Listen to them carefully, and consult an Insurance Agents Network to clear up all the details of your insurance options. There are the professionals you need to talk about when considering life insurance, and then there is your family. Make sure your spouse, children, and other close people in your life are aware of your search for life insurance. They are another voice of counsel and support as you make your choice. Some of these individuals are also going to be affected by the kind of insurance you get. Remember, senior life insurance is the protection policy you get for yourself that can serve as financial support for your family, too. After having all the conversations you need to have, it’s time to get your work. 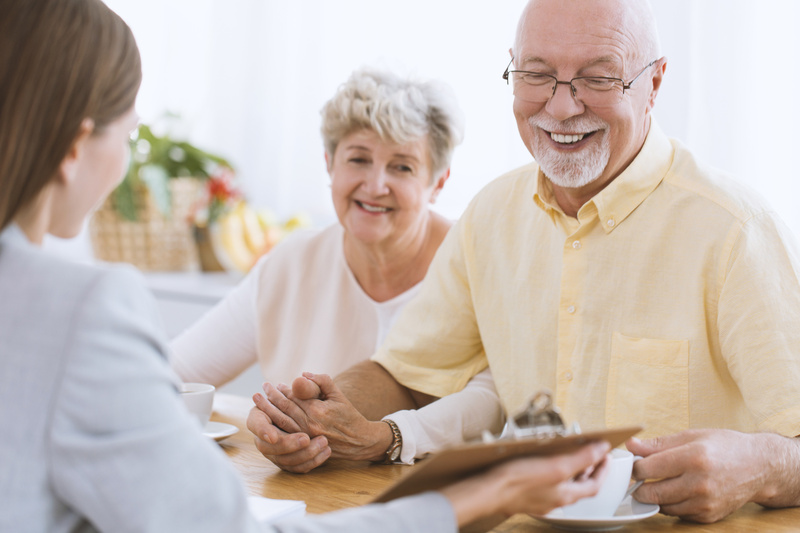 Begin your search for senior life insurance with the help of an agent. Agents can help you narrow down your search in terms of a certain kind of insurance. They can also guide you on the pros and cons of higher payments and different premium options. Keep in mind the kind of price range you need and the amount you are willing to pay. If you need to compromise something, your agent can help you make the most informed, budget-friendly decision. When you’re considering the prices and benefits of senior life insurance, always read the fine print. See what kind of terms your premiums are offered on. Some will accumulate over time while others will be a fixed rate. This is mentioned in the categories of life insurance above, but it can also vary per policy, per provider. As such, it is best to never assume. Take your time going through all of your options and consider the amount of money you can pay, plus what your family will need when the time comes. Speaking of that time, take account any pre-existing conditions that might hinder your health sooner than expected. We know it’s not the most comforting thing to think about. But, what is comforting is the peace of mind of leaving your family in good hands. That is the true value and importance of senior life insurance. Many seniors put off this subject because they are putting off the inevitable in their mind. No one is ever really ready to move on. However, you can ensure you are properly prepared. Such insurance is about you, your family, and enjoying the rest of your days. It gives you the chance to breathe a little easier, without having to worry about what will happen after you’ve departed. The first step in getting life insurance as a senior is actually acceptance. You have to come to terms with the fact its time to consider this investment. The final step is making your choice and finalizing your life insurance policy. This is just one way you can take better care of yourself as you age. Other things to do include regular medical exams, a healthy level of physical activity, and keeping up with your prescriptions. For tips on how to make your prescriptions more cost-effective, click here.